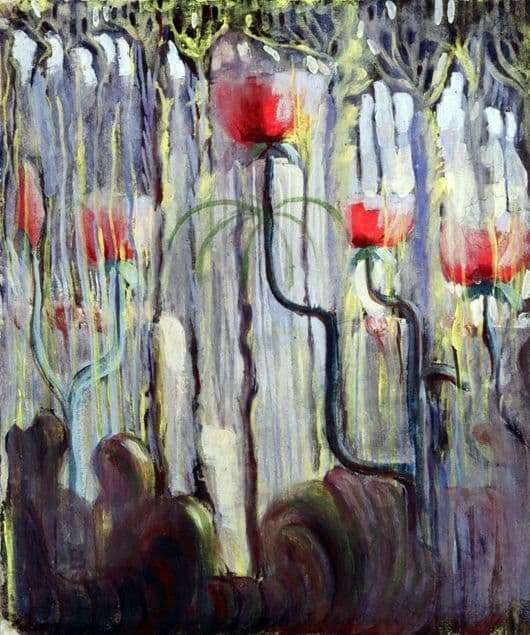 Mikalojus Konstantinas Čiurlionis is a very unique and amazing phenomenon in all the art of the world; to this day, the works of the creator arouse very turbulent emotions and spiritual admiration for creativity. Pictures of the artist move us to the edge of eternal fantastic beauty. His canvases were very famous in the Soviet Union. Čiurlionis wrote in contrast to the reality of life, this is what the audience needed. He tried for people, because he is not only an artist, but also a Lithuanian composer, the founder of Lithuanian professional music, which became famous far beyond the borders of the country and in all world cultures. The Creator was in a hurry to live, compose music, create pictures. It can be seen he felt that he would soon go to another world. So it was… April 10, 1911 Čiurlionis left young very young, and the artist was not even 36 years old. The last five years of his life, he devoted artistic creativity. During the period of writing the paintings, the author created unique cycles of paintings “Signs of the Zodiac”, as well as a unique fantastic cycle with the name “Creation of the World”. In the pictures of these cycles the author’s dream of true beauty and eternal harmony was displayed. Čiurlionis’s unique canvases fascinated with their subtlety in the color range, as well as unusual ideas of a cosmic scale. For example: a shimmering blue nebula with a background of dark blue without life. Transformations of space, which is in itself ordinary, into a space freezing view, this is what the author depicts in a cycle. One of the paintings, there is this, that was written on the account of the eleventh. On the canvas, the viewer feels the warmth and harmony that the artist conveyed. Looking closely, you can become a member of a fantastic, unreal life. Before the eyes of the world sparkles, blooms, in one word – live! Čiurlionis tells the viewer with the help of the canvas not about the creation of the earth, but about progressiveness in the beauty of the world. His paintings are filled with optimism, positive, warmth and pleasant harmony. According to Romain Rolland, the unique, brilliant work of Čiurlionis showed the world a new special spiritual continent!